Promote, Profit, Publish! Become the world authority you always knew you could be. You know it. We know it. And this is how the rest of the world catches up. Most authors get it wrong. They put the wrong steps in the wrong order, pinning all of their hopes, dreams, and money on the sale of the book. Experts on authority marketing know that publishing elevates your customer base in ways that are impossible through any other mechanism. In short, you establish yourself as the world authority on your topic first, creating a trust between you and your audience that allows you to write, and sell, whatever you want with ease and flow. Step one of this process takes your investment and cycles it right back into you, your image, your platform, your global presence. You can’t afford to keep the curtain closed. Your ticket to freedom is to position yourself as the go-to expert on your topic by way of your personal truth before you even attempt to sell a book. You want to make a difference and an income. This is how you do it. As an authority on your topic, you’ll be positioned as a sought-after speaker and trusted teacher. Fans will find you, follow you and wait for you to offer them something. And you’ll have it ready to go. You’ve done it. They know you. They love you. The time has come to give the people what they want- your book! Most publishing and book marketing companies take more than they give. Period. Sadly, by the time the powers that be are done divvying up the profits from your life’s work, you’re left with a negative ROI and a strong temptation to throw in the towel. Not here, that’s why we created this podcast. We care about a little thing called “the ripple effect.” Your success leads to the successful transformations of other people. And that circles back around to work you can take pride in. So, we’ve figured out the formula that establishes you as a world authority, helps you release a best-selling book and does it at a fraction of the cost of other houses so that you actually get to keep most of the money you make. And then you rave about us to your friends. You win, we win, your audience wins. The crowd goes wild. The world is a better place. 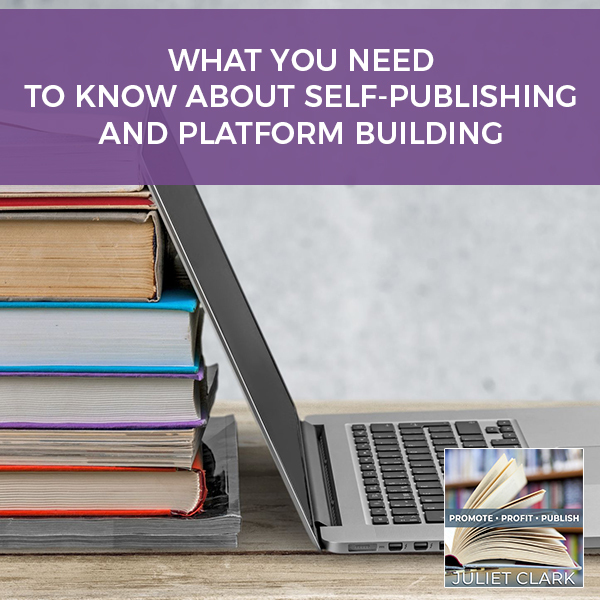 Join bestselling author, platform building expert, and publishing company owner, Juliet Clark to learn the ins and outs of how to build a platform that serves you and your audience while making the world a better place!